Often referred to as an “old money” neighborhood because many of its residents represent generations of wealthy families, Pine Lakes Country Club is home to Southern aristocracy, doctors, lawyers, and professional people of all kinds. The first golf course established in Myrtle Beach in 1927, Pine Lakes is a premiere golf course at the heart of the finest area in Myrtle Beach It was planned by Robert White, the first president of the PGA. With recent renovations, the clubhouse is even more elegant today than it was in when it was built. It is only ½ mile to the beach by foot or golf cart. Lush professional landscaping and numerous lakes and ponds surrounded by the rolling greens of the golf course set the peaceful tone of this beautiful neighborhood. Homes in this community tend to have extravagant amenities and exclusive designs that are charmingly conservative. Many are constructed of brick or stone, with immense, manicured lawns that provide extra privacy. In-ground pools, home theaters, fireplaces, Florida rooms, cypress and hardwood flooring are some of the excellent amenities you will find in these quality homes, priced from the mid six figures to a million plus. An occasional but rare find here, a vacant homesite in Pine Lakes this near the beach would run around $200,000. Who could ask for more than a beautiful home in an well-established golfing community within walking distance of the beach! 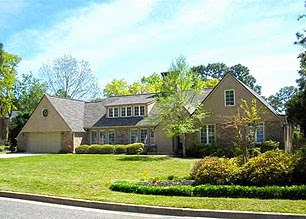 Come see the elegant homes for sale in Pine Lakes Myrtle Beach.